We were back at the waterstop again this year and enjoying every minute of it! It was a gorgeous day, with weather conditions perfect for running — and volunteering. While we may not run the 26.2 miles of the Philadelphia Marathon, we are up and out early to support all of those who do. The waterstop is set up at the 18 (going out)/ 22 (coming back) mile mark. 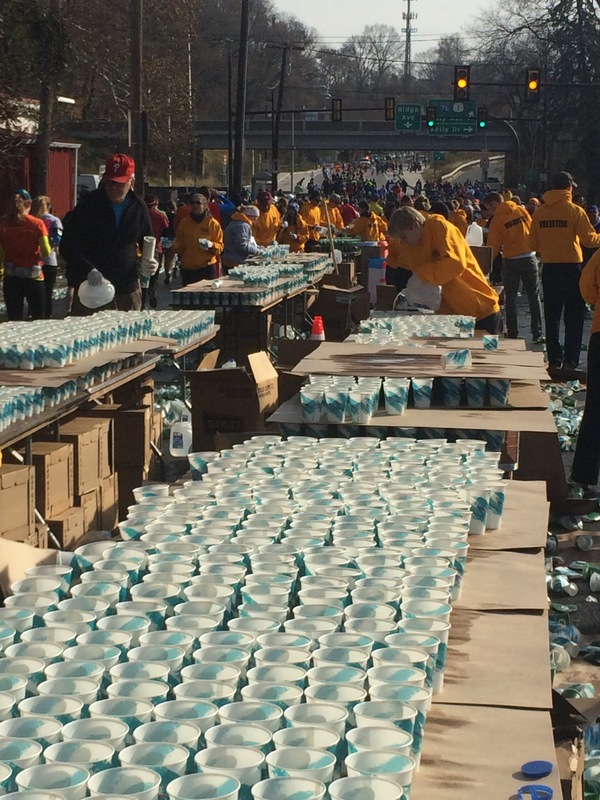 We provide water and Gatorade (along with lots of support and enthusiasm) to all runners. Any runner who makes it to our table is truly remarkable. It constantly amazes us that so many marathoners go out of their way to thank us for being there for them as they run through our station. It’s a rewarding experience and we were happy to be back again this year along with some new recruits who did a spectacular job. 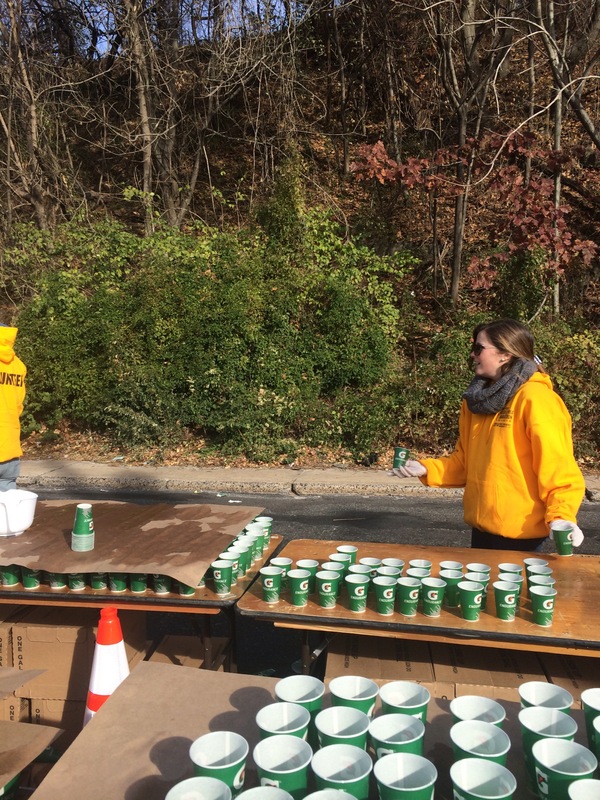 Many thanks to Dan Gordon and the Wissahickon Wanderers Running Club for making the waterstop possible and including us in this volunteer opportunity.